In preparation for the arrival of our first child, my French husband and American self have begun to consider how we are going to successfully teach our native languages to our son. 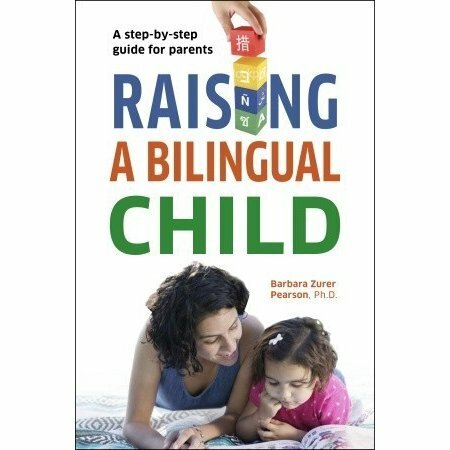 Up until now, our research included a significant amount of Googling, however, as I enter the final weeks of pregnancy, I’ve buckled down and begun reading Dr. Barbara Zurer Pearson’s book Raising a Bilingual Child. While a great deal of the book speaks about the benefits of bilingualism, explains language acquisition and presents several case studies, the most interesting (and in my opinion, useful) section focuses on establishing a bilingual environment. Below, some of the key practices that we plan to incorporate into our household. Parents must establish the minority language. The majority language is a given. A positive attitude toward bilingualism and motive for using the minority language must also be established. One Parent-One Language (OPOL): Each parent addresses the child in a different language, typically their native language. This is the preferred method in many countries. Minority Language at Home (mL@H): Both parents speak only the minority language at home. The majority language is often spoken outside in the community. “Time and Place” (T&P): Language is used based on time and place, for example in the case of many bilingual school programs where certain classes or periods are instructed in the majority language and others in the minority language. Mixed Language Policy (MLP): Parents use the language that best relates to the topic or situation at the time of discussion. The earlier a child is exposed to a language, the easier it will be for them to learn it. The quantity of exposure is also a key factor, especially with a second language. Greater language input=greater proficiency=more use. Once you have established a language pattern in your family, stick with it. If you must make adjustments, do so cautiously. Songs are a great way for young children to learn and practice a language. For older children, books are another great addition, as reading leads to greater proficiency and retention. Never ridicule a child who is attempting to speak any language. Should they make a mistake, favor covert correction. Covert correction: "A technique of responding to errors not by drawing attention to them but by modeling correct usage within the conversation." Are you bilingual or have experience raising bilingual children? Share your tips and stories below!